Here is our collection of AR15 Upper Receivers. Included here is everything from stripped uppers to uppers in varied stages of completion so you aren't paying for anything you aren't going to be using. 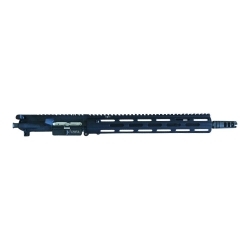 Our full blown CPWSA Ultimate Carbine upper is also available here. Look no further than CPWSA for all your AR15 upper needs.